I don’t know if you’ve ever tried yarn made with yak fibers before, but I highly recommend it. 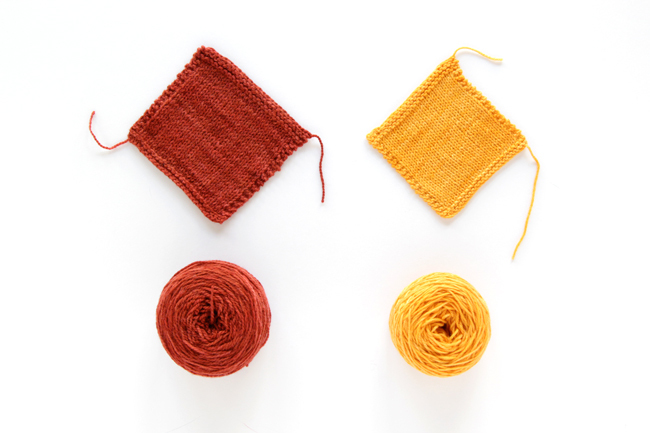 I mean, we all know that getting our hands on some new-to-us yarn is fun, but yak yarn isn’t something you see every day. I wasn’t sure what to expect when these pretty colored yarns showed up in my mailbox. The yak fiber turned out to be smooth and warm, and it provides a great alternative to wool if you’re looking for something new and different to work with. 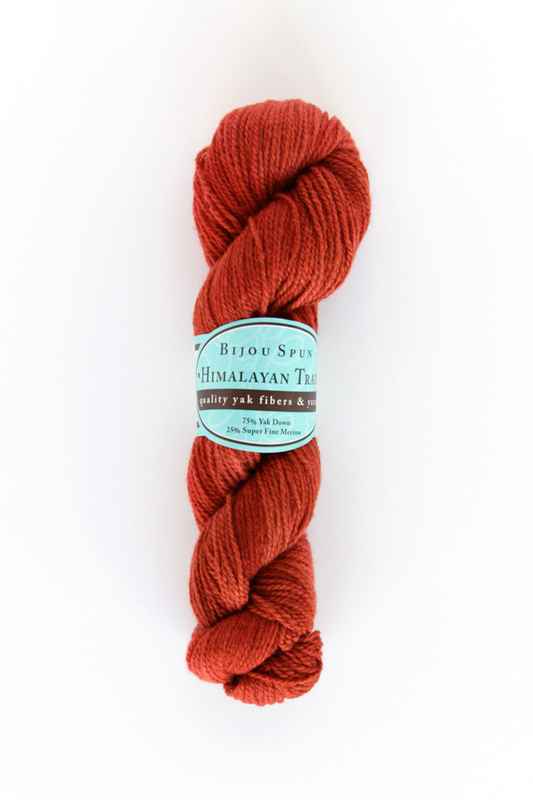 Himalayan Trail is Bijou Basin Ranch’s yak/wool yarn. It’s got a little bit of nice roughness from the 25% merino wool content, but the 75% yak adds some smoothness as a counterpoint. Despite the smoothness, the yak fiber is a lot warmer than fibers like cashmere that are often used to make a smooth yarn. That plus the wool make this toasty, wearable yarn ideal for winter accessories. As I said above, yak yarn is a good alternative to wool, and this yarn is completely wool free if you or someone you’re knitting for has a wool allergy. 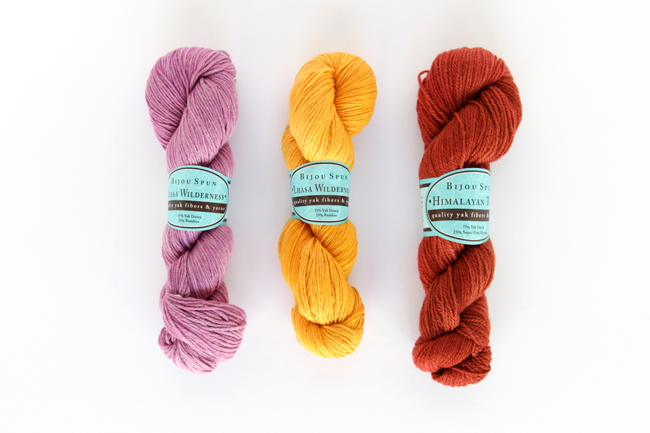 Bijou Basin’s Lhasa Wilderness yarn is a sport weight yarn that combines yak and bamboo fibers to form a light, cotton-like yarn. I designed the Outlander Chevron Shawl earlier this year using Lhasa Wilderness, and it was lovely to work with. 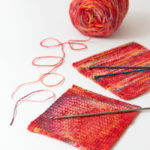 Soft and not too springy, this yarn could easily take the place of cotton yarns for a silkier version of a simple cotton project. I think in particular, baby blankets would be well suited to this yarn. 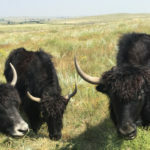 Bonus: Bijou Basin Ranch has relationships with yak ranchers in Nepal, and currently has Lhasa Wilderness on special. All profits of Lhasa Wilderness are currently going to AmeriCares to help earthquake victims in Nepal. 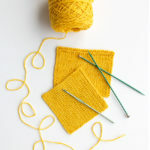 Learn more and order yarn to help the cause here. 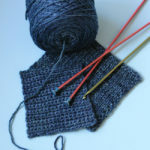 The yarn pictured was provided by Bijou Basin Ranch. Opinions are my own. 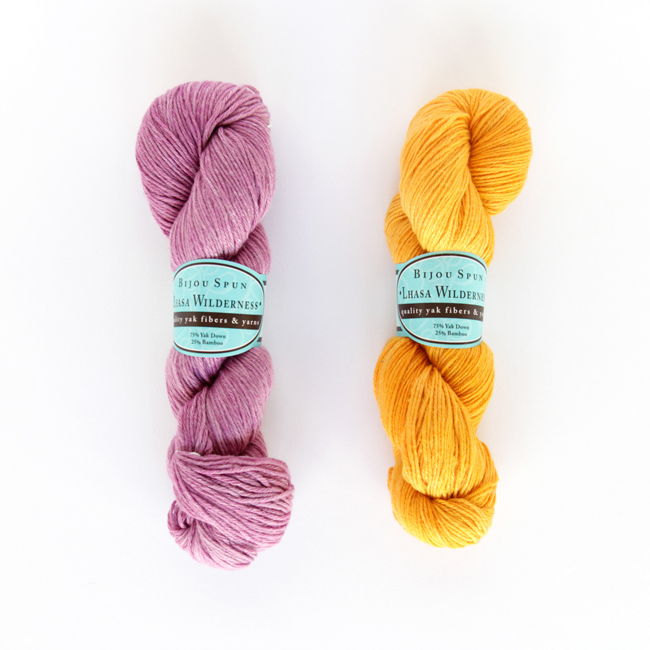 I just got a skein of the Himalayan Trail, and am excited to knit with it! It feels so soft. It looks great! Never tried yak fibers and pretty much not anything else than wool, cotton and acrylic, which makes me want to up my game this fall and try some new things!